In celebration for the release of Star Ocean: Anamnesis in multiple countries worldwide, 2B from the NieR: Automata series has been added to the game. She will be available to draw with greatly increased rates for a limited-time Campaign Character Draw that will run until October 30th, 2018. 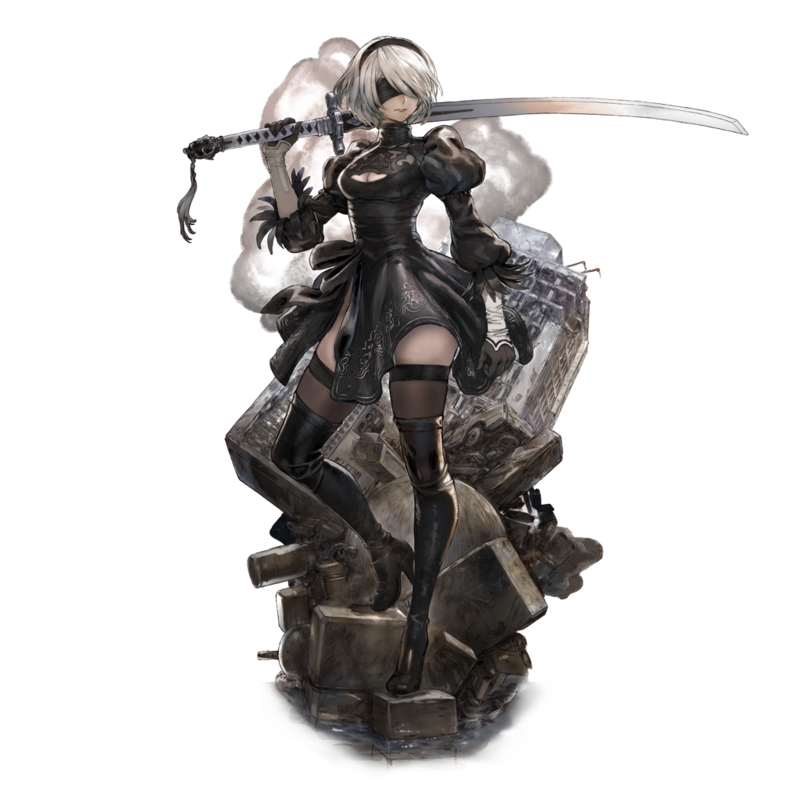 2B is an attacker unit who excels in short-range weapons. You can see 2B in action below. Also in celebration of 2B’s inclusion in Star Ocean: Anamnesis, renowned character designer and artist Akiman has illustrated 2B in the unique Star Ocean artstyle. 5000 gems: In-game currency that can be used to summon characters, weapons and more. One 5-star Ace Character Ticket and Three 5-star Weapon Ticket: Rare items used in unlocking powerful characters and gear. One 4-star Welch and One 5-star Faize Characters: The bubbly, iconic recurring Star Ocean series character Welch Vineyard and the cool and collected Faize–from Star Ocean: The Last Hope–will be available alongside their powerful weapons: Jester’s Wand and Eldar Lord Rapier. A number of additional Crystals, Prisms, Stamina Tickets, Fol and more. According to Square Enix, information revealing players’ favorite characters and roles has also been revealed. Maria, from Star Ocean: Till the End of Time, is the most used in battle, with Summer Myuria and default Myuria, from Star Ocean: The Last Hope, ranking in second and third place respectively. Maria is also the most displayed on home screens and favorited by players. Attack type characters are the most popular, followed by Sharpshooters and Healers. Star Ocean: Anamnesis is available now for free on iOS and Android devices. Crossovers are pretty weak these days. Fix game mechanics and tell better stories.